When Nigeria’s general elections were postponed by six weeks following claims of inadequate security to ensure a peaceful voting process, there were many speculations as to the real reason why such a move was made, especially as it was just a week to the Presidential and National assembly elections initially scheduled to hold on the 14th of February, 2015. Many cynical Nigerians believed that the ruling People’s Democratic Party and by extension the president had become jittery and uncertain about their chances at the forthcoming polls and as such resulted to a last ditch effort to salvage whatever may be left of their prospects by ensuring that the elections didn’t hold on the scheduled day. And, even though Mr President claimed on international television during his last media chat that he was not aware that the elections were going to be postponed, it would take an imbecile or completely naive person to believe that. Since the election postponement, we appear to now have a brand new president. The one who is widely perceived as clueless and lacking action appears to have taken some magic potion which is responsible for his mutation into a Voltron of sorts! Our president has suddenly become more serious about the war against terrorism, and this time around, it is not just in words but in ACTION! Whoever thought we would see the day when our usually benign and placid president would transform into a more active and firm one. It’s a miracle! Suddenly, the hitherto “toothless” Nigerian Army have recaptured at least 4 towns including Baga – the headquarters of the multinational force of troops comprising Nigeria and the neighboring countries of Chad, Niger and Cameroon from the shackles of the deadly Boko Haram sect. Several feats which haven’t been achieved in years have for some reason become achievable for our men in uniform in such a short time and one can only ask why this is just happening now. Why did Mr President wait so long to arrest a situation which could have been nipped in the bud long before now? Why did we have to lose thousands of people in bloody massacres and have countless others displaced from their homes before bringing a bit of relief to the North East? Why did the Commander-in-Chief of the Armed Forces fold his arms when hoardes of adolescent girls were snatched from their beds in Chibok town? Why did the number one citizen of the country leave the onslaught against an insurgent group responsible for the genocide in the North East which has gone on for six years up till the eleventh hour into his reelection bid? Which ever way one chooses to look at it, it smacks of a hidden agenda and a lassez-faire attitude to the safety and security of the Nigerian citizen. The excuse that the military just got well equipped to adequately fight insurgency just doesn’t cut it! As a matter of fact, in saner climes, someone would have been fired for a negligence of duty of such magnitude. Pray what is a military without sufficient weapons in its arsenal! Mr President also chose this window of election postponement to launch four Nigerian Naval ships in Lagos, in order to secure our maritime interest. On the surface, the activities of the president appear to be laudable but a deeper question begs – Why all of a sudden is he on an “achievement streak” which has been lacking all these years. And the most amusing of it all – he decides to embark on an unusual pilgrimage to a couple of churches and in quick succession too. A visit to 3 different churches within the space of 2 weeks only further projects the incumbent as confused and desperate. If President Jonathan had performed to the satisfaction of majority of Nigerians he would not need to run around like a headless chicken and grasp at straws in a bid to ensure reelection today. There would be no need for the unnecessary and childish propaganda consistently served by his cronies, Ayo Fayose and Femi Fani-Kayode against the leading opposition presidential candidate. If GEJ had fought corruption, provided power and adequate security like he promised in 2011, he would most likely be coasting home to victory come election day. But, this is not so and the die may have been cast already. It may be a little too late to convince the section of the voting populace who have made up minds to vote out an inept government…or maybe not. Hahaha! Easy dear friend, we’ll get our chance at the polls. Thanks boss. Na wah ooo. I hope the masses actually exercise their vote agaiNSt all these lies & pretence. 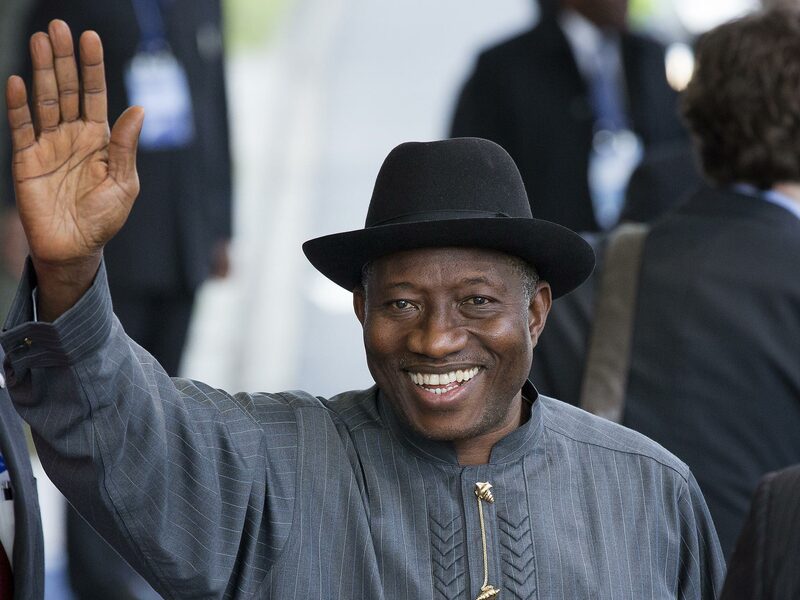 It has become obvious that Mr GEJ is Not the leader that can move Nigeria 4wD.. he’s had his chance. Nice article. Thanks 4 sharing. I honestly thought I was the only one who observed a sudden urgency in the way Mr President has been handling matters of late. I wonder if he thinks we can swayed by his antics. Anyway, time will tell. You sure are not the only one thinking this way. Thanks Bibi.